(a) Department of Sociology, University of Leicester, Leicester, England. (b) Department of Health, Physical Education and Sport Sciences, Baldwin Wallace University, Berea, Ohio, USA. Dennis Rodman, the quintessential example of deviant behavior as a player in professional basketball, along with Chris ‘Birdman’ Andersen fast tracked the normalization of tattoos in the National Basketball Association. Still considered deviant behavior in Western societies, the prominence of highly visible tattoos in the NBA and collegiate basketball world has been growing rapidly. 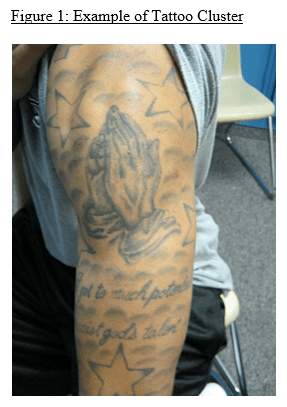 In this article, we discuss how professional and collegiate basketball players perceive tattoos in regard to identity and performance. We focus on how tattoos act as a channel for nonverbal communication in this population. Through these two topics, players avertedly or inadvertently address the interplay of tattoos and identity as well as how tattoos inform social groups. With the increased visual media presence of players through social media, smart phones, the internet, and other forms of technology, the necessity of understanding what role tattoos have among the players cannot be understated. In the United States, when a person refers to professional sports, basketball is invariably one of the focal points of the discussion. Simply mentioning a professional basketball player evokes a certain image; immensely famous, ludicrously wealthy, chorded muscles, and typically tattooed. Whether art, a personal statement, a story, appalling, beautiful, or some combination, tattoos are an easily recognizable form of body modification. Tattoos are ubiquitous among communities in the United States (Fenske 2007); and professional and collegiate basketball players are no exception. Nonverbal communication takes a variety of forms, including communication via clothing, tattooing, cosmetics, or graffiti (see, for example, Mendoza-Denton 1996; Olguin 1997; Adams 2009). Previous work on nonverbal communication, particularly the method employed in these studies, is important for framing how the data collected will be applied to contemporary discussions. 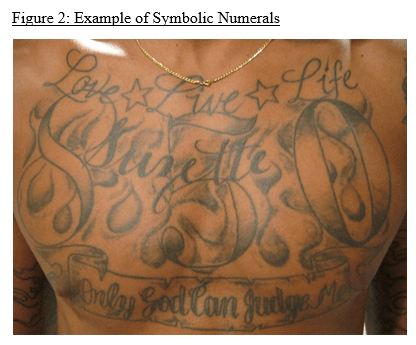 Similar to how the same image in a prison tattoo can communicate different messages depending on its location and the gang affiliation of the individual (Baldaev 2009), this study investigates how the locations and images of tattoos among basketball players communicate different—intended and unintended—messages to other players, as well as their intended communication to fans (Olguin 1997; Phelan and Hunt 1998). As such, this research explores the relationship tattooing has with nonverbal communication and identity among professional and collegiate basketball players. We draw upon established anthropological literature in the fields of nonverbal communication, performance, the sociocultural significance of body modifications, and symbolic anthropology. Anthropologists have studied performance and its societal application in terms of what it shows about cultural institutions, including the performance of gender relations and ethnicity (Beeman, 1993, 370). As the upper echelon of basketball players in the United States, the participants of this study act on a national, or even international, stage, which makes the anthropological literature on performance particularly relevant. Performance, as the term is used in this article, is a set of behaviors or actions, done for the benefit of observers; that embodies central symbolic aspects of a cultural tradition (Beeman, 1993, 371). Through a performance, participants attempt to communicate a message to observers using symbols (Turner, 1990, 12). The symbols must be culturally understood, or they will fail to communicate any meaning. For the purpose of this study, the symbols are tattoos, and the interest is in what they are communicating about identity. Within the larger body of literature on performance, the literature on gender as performance is particularly notable. Utilizing the concept of performance presented above, “gender as performance” is best synthesized as an examination of gender as the symbol that the performance is attempting to communicate to the observers (Mendoza-Denton, 1996, 49). Such communication can function as a means of reinforcing social stereotypes regarding gender, or it can criticize cultural preconceptions. Regardless of the message being communicated, just as performance communicates a message through a symbol, gender as performance communicates messages through symbols as well, be they in the form of drag queens or, as in this study, tattoos (Butler, 1990, 36). Anthropologists who have studied tattoos and gender as performance have concluded that tattoos are an effective medium for communicating and reinforcing notions of gender and ethnic identity (Phelan and Hunt, 1998, Adams 2009, Baldaev, 2009 and Trunev, 2010). In addition to looking at tattoos as a symbol for gender as performance, there is engagement with literature in the field of anthropology of the body regarding performance. This body of literature is utilized as well to unpack identity through the body and its relationship to masculinity (Wacquant, 1995). Building upon these previous studies, the aim is to uncover the role tattoos play in gender as performance among the study participants. The sociocultural significance of body modifications is another topic that has been studied for many years in anthropology (e.g., van Gennep, 1960, Mead, 1928, Leach, 1954 and Levi-Strauss, 1963), and it has remained a compelling topic for contemporary anthropologists in the quest to define social status, rituals, links and boundaries between cultures, and identity (Schildkrout, 2004). Anzieu, (1989) discusses the idea of “ego skin,” which are the markings on the skin, which act as an interface between the body, the self, and others. The importance of this idea here is that it supports the notion that tattoos have different meanings to the individual with tattoos and to those who view them. Debates regarding the extent to which the self-identity of an individual and the cultural identity of a group relating to body modifications are common among those in the field (e.g., Gell, 1993, Cummins, 2003 and Baldaev, 2009). Focusing on a previously unstudied population, this research engages the discussion of tattoos in defining identity at the local level by investigating how identity is communicated through tattoos via the personally ascribed meanings or philosophies behind tattoos in the basketball subculture, as well as what they are intended to communicate to those around them. To better understand why tattoos are placed in specific locations, this research utilizes literature in the field of anthropology of the body to demonstrate how certain parts of the body take on specific meanings, and how this relates to the notion of performance (Scheper-Hughes, 2002). Symbolic anthropology is used to guide the data collection and analysis portions of the study. Initially proposed in 1973 by Clifford Geertz, symbolic anthropological theory emphasizes ways of analyzing meaning and their relationship to the actors within a society (Geertz, 1973). The premise of this theory is that social life is defined as the creation and negotiation of meaning regarding symbols in the culture (Geertz, 1973, 6). The form that these symbols can take vary as widely as cultures themselves, encompassing tattoos, language, clothing, art, and music, for example. According to this theory, in order to analyze the symbols specific to a cultural group, the anthropologist must disregard the eclectic notions of culture that make up the “conceptual morass,” and focus instead on a narrow, semiotic concept of culture in which analysis is an interpretive science in search of meaning (Geertz, 1973, 5). Contemporary anthropologists use symbolic anthropology to define status, describe rituals, explain links and boundaries between cultures, and investigate identity (Schildkrout, 2004). The primary methodology for interpreting meaning from symbols is through ethnographic research. The researcher needs to perform “thick description,” which is, “sorting out the structures of signification […] and determining their social ground and import” (Geertz, 1973, 9). A researcher working within this theoretical framework needs to embrace the idea of thick description because the interpretation of meanings, both intended and perceived, from nonverbal communication is inherently ambiguous; cultural connotations must be portrayed accurately, which means that a member of the culture must affirm any proposed interpretation (Yuan, 2007, 79–80). The heart of symbolic anthropology lies in the understanding that there is a difference between a sign, significant to an individual, and a symbol, which is representative of something larger to a group of people. For a sign to become a symbol within a culture, there must be a shared cultural system of meaning among the members of a society (Geertz, 1973, 8). As will be discussed in further detail later, the difference between these two concepts can be seen among the participants. While the tattoos of an individual may have specific stories attached to them regarding, for example, the participant’s family, life story, or religious experience, their importance lies in how the participants assign meaning to the tattoos of other basketball players and how they use this understanding to address questions about the self and the nature of others beyond, or in place of, verbal communication. Contemporary anthropologists utilize symbolic anthropology to study how the body takes on symbolic meaning, the commodification of the body, and how symbols are read differently by individuals within and excluded from a culture (Wacquant, 1995, Scheper-Hughes, 2002, Wohlrap et al, 2008 and Trunev, 2010). Precautions must be taken when utilizing this theoretical framework, so as not to simplify the culture as a purely symbolic system. By distancing the theoretical structure from cognitive anthropology and structuralism, one is able to avoid the dangers of isolating cultural analysis from the informed logic of actual daily life. Symbolic anthropology thus locates culture and ethnography within the semiotic turn of anthropology and the general interest of hermeneutical analysis in other disciplines. The data for this study was collected from 16 collegiate basketball players and 11 professional basketball players. The participants were born and raised all over the United States, play for teams spread across the country, and are of various ethnicities. For both collegiate and professional participants, interviews were conducted with both players who have and did not have tattoos. Among the collegiate players, ten had tattoos while six did not. Eight of the professional players had tattoos, while only three did not. While the elite basketball subculture is a part of the general American populace, the demographics of each are very different (see Table 1). The data for Table 1, indicate that African Americans are far more prevalent in both collegiate and professional basketball than they are nationally, while the other ethnicities are far less present. The percentage of African Americans present in collegiate basketball is substantially higher than in the general United States population, and it increases in professional basketball. However, the other ethnicities are less represented in basketball than in the United States as a whole. The main implication of this data is that the basketball subculture is a cultural group that is separate from the general United States populace. The data are comprised of 27 one-hour semi-structured interviews which included discussing the social networks of the participants and, when applicable, took photographs of all their tattoos. The participants were recruited through availability sampling. Availability sampling, also referred to as convenience sampling, is a method of recruiting participants based upon accessibility (Bernard, 2006). The semi-structured interviews were conducted in four different locations: team locker rooms, participants’ houses, university cafeterias, and university libraries. In addition to semi-structured interviews, the research utilizes participant observation on two occasions. The first was over an evening of “going out,” which consisted of drinking at two local bars, going to a dance club, and finally going to a party at a high-rise apartment. The second occasion was at a dinner party at one of the player’s houses. The party attendees were all teammates, coaches, spouses/significant others, and their children. On both occasions, structured field notes according to established guidelines were recorded (Bernard, 2006). The analysis for this research utilized hermeneutic text analysis, which attempts to establish connections between symbols in a culture, tying back to the symbolic anthropological theoretical framework used in the study (Bernard, 2006, 475). Some examples of the hermeneutic units used include “view of other players with tattoos,” “view of other players without tattoos,” “meaning of tattoos,” “growing up,” and “how personal tattoos are seen by others.” To support the hermeneutic text analysis, the presentation of exemplar quotes from transcripts can be seen throughout this article. The presentation of exemplar quotes is also done in order to convey the voice of participants and the ideas they are expressing more accurately. Using hermeneutic text analysis relates back to the theoretical foundations of this study by providing clear explanations of and connections to the symbols, which allows for the unpacking of performance behaviors and ideas regarding identity. One characteristic of nonverbal communication without direct verbal explanation is ambiguity (Yuan, 2007, 74). To mitigate uncertainty, semi-structured interviews were used to better understand participants’ interpretations of the tattoos (see the methods and analysis section for further detail). During the analysis of these interviews, there has been no attempt to interpret meanings or intended/perceived communication of tattoos without confirmation from the participants because, in addition to the inherent ambiguity associated with nonverbal communication, it also requires that cultural connotation be accurately portrayed which requires a member of the culture to affirm (Yuan, 2007, 79-80). UCINET was used to run the different social network analyses and produce a graphical representation of the social network. Specifically, the analyses ran include betweenness, degree centrality, geodesic distance, creating a visual social network, and network density to see how closely the members of each network are connected, how many members had tattoos, and how central the tattooed members were in each social network (Hanneman and Riddle 2005, Reid et al, 2008). The connectivity of the network and centrality of the tattooed members indicates how strongly tattoos are influencing the social systems of the participants, which reflects on both identity and the importance of performance within the networks (Peace, 2000, 592). The social network data work in conjunction with the hermeneutic text analysis to identify patterns in the participants’ views of others and of self. This one [points to underside right forearm] is a Transformer. Uh, this right here, cuz like, you know, um, last year I got hurt so I, um, uh, you know. I really had a lot of things taken away from me so I just decided to get this one to say, you know, that, like, things can be taken away from you but if you work hard to get them back, you can. The four categories are distinguished as follows. Artistic tattoos are tattoos that are not personally symbolic to the player of an event or story, and they are done for aesthetic continuity. The family category contains those tattoos with a personal symbolism representative of an event involving a family member, friend, or significant other. Religious tattoos are those that represent a symbol or text from a generally acknowledged religion, such as Christianity, Judaism, Islam, Buddhism, Hinduism, Shintoism, or Taoism. Finally, the spiritual category is for tattoos that have a personal meaning to the players regarding morality, a code of ethics, lifestyle, or worldview that is not directly connected to a religious ideal. For increased clarity regarding these categories, an example for the artistic and spiritual categories is provided, as these are the most abstract. Artistic tattoos can be summed up through one player who, when discussing a group of differently shaded stars on his arm, said, “The reason I got these [stars] gray is to fill the space and bring out this [tattoo].” A tattoo classified within the spiritual category would be, for example, a phrase that states “live in the stars,” with an explanation along the lines of, “You know, sky’s the limit. Reach your goals. Work hard. Be better than the rest.” The frequency of each type of tattoo among collegiate players, professional players, and the group as a whole appears in Table 2. The most common category among both groups of players is family; this is followed by religious, then spiritual, and finally artistic. To define what constituted a single tattoo versus a collection of tattoos required a certain amount of subjectivity on the part of the researchers. For instance, if a player has a sentence tattooed across his chest, is the whole sentence one tattoo, or should each word be considered a separate tattoo? Or even each letter? What if each word was done in a different script, but they are worked together to make one sentence? Due to this inherent ambiguity, the analysis utilizes the individual understanding of each player to define how many tattoos they have and what they consider a single tattoo. Figure 1 is an example of the ambiguity that can emerge when defining what constitutes a single tattoo. While the designs in Figure 1 work together to create an aesthetically cohesive unit, the participant classified each grouping of images as a unique tattoo. He first received the prayer hands when he was 13, then the words when he was 17, followed by stars at 18, and finally the clouds at 19. He imbued each of these with a meaning. As such, when “number of tattoos” is discussed, it is based upon the numbers given by the players, which are not broken down further. The continuity between collegiate and professional basketball players in the frequency of themes regarding their tattoos and the number of tattoos they possess is indicative of a possible trend among basketball players: the presence of tattoos requires ascribing meaning to tattoos, rather than just offering a visual display. While this idea may seem enticing, there is notable counterfactual evidence that must be addressed: the players, both collegiate and professional, are receiving their tattoos on their bodies in almost exclusively highly visible locations. Despite the significance players ascribe to their tattoos, some of which they are loathe to share, they are still flaunting them to others. One such example of this is a professional player who had an image of a child with wings on his shoulder. The image is representative of a child his family made his ex-girlfriend abort when they were in high school; now he, “wear it on my shoulder for erry’one to see. Erry’thing I do in life, I want that unborn child to be wit me for. I don’t… I don’t tell people that though. It still hurts. But it’s good for the world to see.” Despite the deeply personal story attached to the tattoo, he does not speak about it to many people; however, he placed it on his shoulder for greater visual display. The fact that these players are placing tattoos in locations that are visible, not only during a basketball game, but also in everyday life, indicates that the tattoos are acting as a form of nonverbal communication for both players and fans. While the tattooed body or body part can act as an identifier, it can also act as a symbol. A symbol has the ability to communicate the worldview of individuals, statements of personal history, affiliated organizations, as well as other aspects of life. It expresses these notions through nonverbal communication to an observer who is a member of a specific group (Turner, 1990,12). Symbols must be culturally understood, or they will fail to communicate any meaning. The cultural traditions it represents could be within the basketball subculture, but they could also include prison culture, gang culture, or ethnic cultures, among others. For instance, should a player have the number 417 tattooed on their body, it likely means one of two things: either they are from the southwestern quadrant of Missouri, where 417 is the area code, or, if they have been to prison, it could mean they have committed an assault with a weapon (see Figure 2 for example) (Phelan and Hunt, 1998, 282). To those viewing the player with communicative tattoos, be they identifiers, like the one on LeBron James’ triceps, or markers of life history, the performer is no longer a person; their body has become a text. The commodification of the body, in this sense, is yet another example of how the bodies of tattooed players become objectified. The players with tattoos who viewed other players with tattoos considered them tougher, and, therefore, better players because they had gone through a pseudo-rite of passage. As the quotation above indicated, echoing a traditional rite of passage, the players begin in a non-tattooed condition, and then enter a liminal space in which the tattoo is applied and where ritualized hazing—in this case, the pain of a tattoo and the healing process—take place, and then they reemerge in a new social condition (van Gennep, 1960). The complex interactions between a player and his body, the player and himself, and the player and the other epitomizes the concept of “ego skin.” The players utilize their skin, both tattooed and non-tattooed, as the vehicle to interface with these complex notions while not fully addressing their existence. The responses from both tattooed and non-tattooed players address the idea that tattoos function as a form of intimidation in the pregame atmosphere; however, they are not looking at players without tattoos. The concern of the players lies with those individuals who are marked. The marked individuals have more notoriety among everyone else within the society and, since the markings are physical and visible, they are more closely noted than if they were marked in a religious or spiritual sense, which points to the occurrence of symbolic boundary maintenance (Douglas, 1966, 43). Such symbolic boundary maintenance plays an important role in defining their social networks, in addition to maintaining the intimidation factor, given the supposition that there are two different states of being, tattooed or not, which is supported through the pseudo-rite of passage. While tattooed and non-tattooed players had differences in how they view other players, their ideas about how they felt other players viewed them differ even more radically. Collegiate basketball players without tattoos frequently stated that they believed that players on other teams viewed them as less skillful than the tattooed players, despite what the statistics might show. Professional basketball players without tattoos showed a general consensus that their skill level was not judged by their lack of tattoos; rather, they believed that they just had to make themselves stand out in some other way on the court, such as through their style of play. The professional players did express that they felt they were more frequently overlooked by the media, since they were not as marketable as the players with tattoos. One professional player without tattoos said, “We all worked hard to get here. We’re all the best in the world, you know? Some bit o’ ink ain’t gonna change that. But those guys wit the ink…get more of that [spot]light.” He concluded that, despite the supposed equality of players at the professional level, those without tattoos were simply not as flashy as players with tattoos. Basketball players with tattoos, both collegiate and professional, had similar ideas with regards to how they thought other players viewed them. The players spoke about being the figureheads for basketball because they could be marketed; however, the major idea they discussed was being seen with respect. One interviewee stated this pointblank: “I think that havin’ tattoos really gives you a sign of respect, I think really.” Another professional player stated that, “When you got tattoos, then you that guy. You the cool guy. The one everyone wants ta be.” The idea he is expressing is, again, the respect he receives both on and off the court. This notion of respect is endorsed, either purposely or not, by the institutions surrounding the players. While the idea of marketing in relation to the players is a topic tangential to this article, it is worth noting that at the collegiate level, players with tattoos are used more widely for marketing than those without tattoos. One such example is from Northern Arizona University, where the athletic department sends out pamphlets to the local community to bolster its ticket sales. 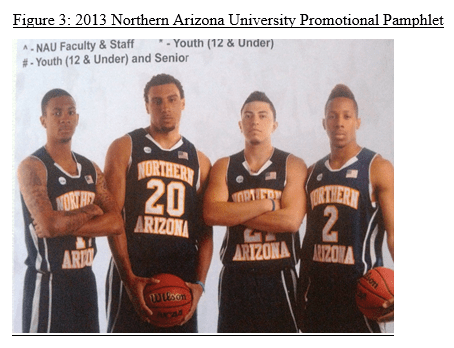 The pamphlet for the 2013 men’s basketball team had a picture of four players on the cover, all of whom had tattoos, and there were no pictures of any other players. The four players were the only ones on the team who had tattoos (see Figure 3). Comparing the publically posted statistics on the Northern Arizona University website for the whole team at the time the pamphlet was sent out, the categories of Games Started, Points Made per Game, and Minutes Played were examined in particular. The data show that three of the tattooed players were among the five starters, and the fourth tattooed player was the sixth man. So the tattooed players were among the best players on the team, but not undisputedly so. Furthermore, upon examining the biographies on the website, not all of the players were of the same age or year in school; they ranged from freshman to senior (NAU Athletics Website, 2012). In this light, there is no logical explanation as to why the four tattooed players were chosen, other than for the fact that they were the only players with tattoos. Utilizing these players as the image of the basketball team indicates that the university, or at least the athletic department of the university, bestowed a greater level of respect upon the tattooed players. How players believe others view them is significant because it reflects their “ego skin” and identity. The players are expressing their understanding of how their skin allows them to interface with the other, while also discussing their interface with the self. None of the players tried to extrapolate a personal meaning for the tattoos of another player, yet they do understand how the player will fit in a social interaction. The connection between “ego skin” and identity lies in the aspect of “ego skin” in which the skin interacts with the self. The lack of tattoos and the possession of tattoos are both exemplifiers of identity as it relates to the individual. What the tattoos mean to the self, specifically the personally ascribed meaning or lack thereof, is indicative of the variety of social situations the individual has experienced that have led to the decision to receive a tattoo or not. Furthermore, the decision to receive, and the actual process of receiving, a tattoo is an essential element in the establishment of self-identity, due to the acknowledged permanent state of change to the skin, which results in a different state of social being (Wohlrap et al, 2009, 204). The change in social being is a result of the decision to receive or pass on a tattoo. Regardless of the choice made, the individual is forced into a new type of social being, whereupon the identity of the self is changed. Social network analysis is a set of methods, as well as a theoretical orientation for interpreting data. The methodology focuses on the measurement of relations between people by quantifying them and utilizing established models and techniques, while the theoretical orientation associated with social network analysis focuses on the consequences and causes of relations between people (Hanneman and Riddle, 2005). For this study, the theoretical insights provided by social network analysis are drawn upon to interpret the patterns uncovered through the application of social network methodology in the analysis of players’ tattoos. This is because information on tattoos is the primary data collected. Though other aspects of social relations were explored, such as ethnicity, age, and position on the team, these factors did not yield any significant findings. Egocentric social network analysis was used, due to its focus on individuals within a group and the anthropological roots of this method. Egocentric network analysis allowed for a fairly accurate analysis of each team. It can be posited that the analyses are substantially accurate because, having collected data from a minimum of five players per team, and with each team consisting of no more than 13 players (National Basketball Association, 2011), a minimum of 38.5% of the team has been accounted for, which is considered significant (Hanneman and Riddle, 2005). However, it should be reiterated that while the analyses are significant for the three teams examined, the findings do not necessarily apply to the entirety of collegiate and professional basketball society, as number of collegiate and professional teams is vast. Despite the inability to collect social network data from every member on each team, enough data was gathered to create an egocentric social network analysis for two collegiate teams and one professional team. The players from the collegiate social networks varied in the number of years they had attended school and their level of completion, from freshman to senior, and they also differed in age and were of varying skill levels on their respective teams. The analyses indicate that, through their tattoos, or lack thereof, the bodies of the players become symbolically charged, acting as a key to their social relations. The tattooed or non-tattooed condition of basketball players influences how their bodies are interpreted by others. Thus, the social networks of players on a team are defined through the tattooed condition of an individual, such that a strong factor in determining the social networks is the tattoos themselves. Every player, when asked who they spent time with socially, made it clear that they got along with their whole team and that subgroups within the team did not exist. However, when pressed, every player had a list of people on the team that they got along with well and spent significantly more time with socially. The players did not purposely attempt to spend time with other players who were statistically better or worse than them because, as one informant noted, “From the best player to the worst player on the team, the worst player thinks that he can take that best player. And the best player fears it.” The same mentality was echoed by nearly every player interviewed, both collegiate and professional. The first social network is from a university on the West Coast of the United States. 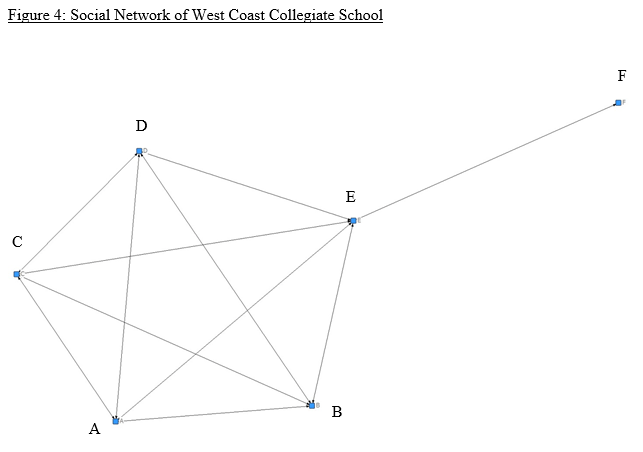 Five individuals provided data for this egocentric network. Figure 4 is a graphical representation of the network; players A, B, C, and D all have tattoos, and individual E does not. The members with tattoos all mentioned each other and individual E during their interviews, but no one else on the team. Player E acts as the liaison between the tattooed clique and the rest of the (non-tattooed) basketball team. Player F was not interviewed, so social network information for him was not inferred or implemented into the diagram. 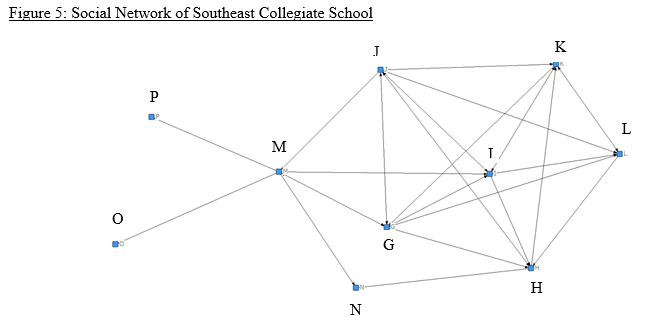 Figure 5 is another graphical representation of a social network, this time from a university in the Southeast region of the U.S. The social network consists of the seven individuals who provided information for the network. Players G, H, I, J, K, and L all had tattoos, while players M, N, O, and P did not. Similar to Figure 4, the players with tattoos all named each other, establishing a clique, while player M acted as the primary liaison and N as the secondary liaison to the rest of the (non-tattooed) team. 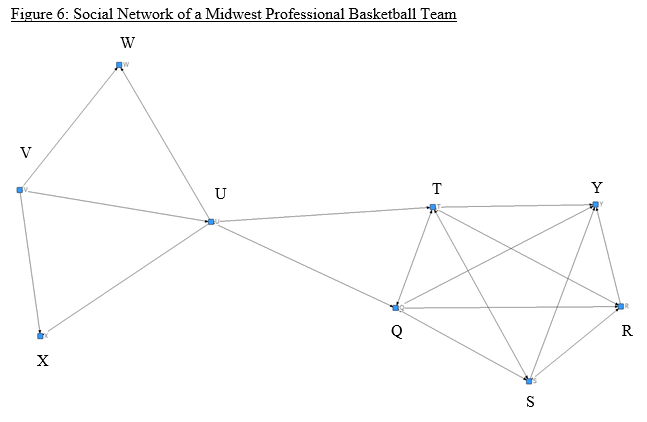 Players N, O, and P did not provide data; however, they were non-tattooed players, and (with the exception of Player N, who was noted by player H) they were only mentioned by player M.
Figure 6 is a two-dimensional graphical rendering of a social network depicting a professional basketball team in a Midwestern U.S. city. Of the nine players depicted in the social network, six provided information. Players Q, R, S, T, and Y had tattoos, but player Y was unavailable to provide information. Of the remaining players, U and V provided information, but W and X were unavailable. Similar to the other two social networks, the tattooed players, discounting player Y due to the absence of data for him, are in a clique. If we were to accounting for player Y, the tattooed group would be labeled as a k-core, which, for the purpose of these data, is a negligible change, so I will refer to it as a clique. Player U acted as the liaison for the cliques that, with the presence of two non-tattooed players, were starting to develop. The data from the three social networks indicate that, with the exception of one or two liaisons, the tattooed players and non-tattooed players were spending their social time separately. The actual status of being tattooed is not important, but rather the general knowledge of this status among the teammates. As such, the tattooed body part, normally in a place easily displayed on the basketball court or in the locker room, supports the idea proposed in the previous section: the act of tattooing is a pseudo-rite of passage. The divisions in the social networks suggest that there is a social barrier between the individuals who are tattooed and those who are not in both the professional and collegiate groups. Furthermore, because there are liaisons in all three social networks, these social barriers must be at least semi-permeable to allow for the exchange of ideas or information. Contemporary collegiate and professional basketball players, either through purposeful engagement with the public or by sheer happenstance, have established an iconic image of tattoos in the modern world. For all the physical prowess, fame, power, and wealth that these basketball players enjoy, one must wonder if it just obfuscates something larger. With all the accolades these individuals receive, their humanity is often lost, and they become objectified. When their humanity is lost, it becomes difficult to see that they are just individuals, subject to cultural pressures and influences. While collegiate and professional basketball players are members of United States culture and subject to cultural pressures, they also belong to their own subculture, which is equally complex. The discussion of the tattoos showed that all of the players, professional and collegiate, ascribed personal meanings or stories to their tattoos. The personal level of these meanings, coupled with the permanence of a tattoo, connects tattoos to the expression of identity. Furthermore, despite the personal nature of some stories, players are still receiving tattoos in almost exclusively highly visible locations on their bodies. Since the tattoos are on such visible locations, they act as a form of nonverbal communication aimed at other players and fans. In this way, the bodies of players become communicative texts through the presence of tattoos. The presence of tattoos also acts as nonverbal communication about skill. The presence, or lack, of tattoos expresses intimidation and respect, which other players can read. The players reading these symbols are able to size up their opponents before any gameplay even begins. Because receiving tattoos is a process that changes the condition in which a player is viewed by his peers, the process is a pseudo-rite of passage that aligns the tattoos closely with the identity of players. Discussing the social networks of three teams explains that, while the players said that they were friends with everyone on their team, the majority of their free time was spent with other players who, like them, either had tattoos or lacked them. Each tattooed or non-tattooed clique had one or two liaisons who connected the team as a whole. While tattoos cannot be isolated as the determining factor, the evidence presented here is grounds for the argument that tattoos are a major factor in determining social relations. As such, this topic addresses the concepts of nonverbal communication and performance, as it is clear that tattoos play a major role in defining the players’ social networks, which, in turn, play a large role in identity affirmation. Furthermore, the cliques illustrate that within the professional and collegiate basketball subcultures, there are clear social boundaries, and these must be maintained through performance. However, the boundaries are semi-permeable, which allows for the exchange of ideas, information, and necessary cooperation among all groups within the subculture. Undoubtedly there are more analyses that can be done with this data set and concepts to unpack. For the purposes of this article, we have intentionally glossed over the multifaceted concepts of race & ethnicity, performance of masculinity, contemporary & historical political economy theory, commodification of the body, personal identification, and the holistically connective notion of swag. While these ideas are present, covering them here would be far too lengthy. A substantial amount of data was collected and utilized to reach the conclusions posited in this article. Nonetheless, future research on this topic needs to done to fill in gaps. As it stands, the data are not vast enough to make statistically significant conclusions regarding all of basketball society; however, the results lay the groundwork for future research. Specifically, further research needs to increase the number of participants in both the collegiate and professional sectors. Another recommendation for further research is to use more participants on each team to collect stronger social network data. This would allow for the confirmation or modification of the ideas illustrated by the three teams analyzed here. Further research on this topic needs to continue to have a varied regional context so that the data will not be region-specific. Such variation will provide greater insight into the basketball subculture as a whole. One further recommendation for future research is the continued usage of interdisciplinary literature for analytical thought. The benefits of interdisciplinary contributions for future research include varied theoretical orientations, an increased amount of relevant literature, and the ability to breach communication gaps between fragmented disciplines. 1. Adams, J. (2009) ‘Bodies of Change: A Comparative Analysis of Media Representations of Body Modification Practices’, Sociological Perspectives 52(1), 103–129. 2. Anzieu, D. (1989) The Skin Ego. New Haven: Yale University Press. 3. Baldaev, D. (2009) Russian Criminal Tattoo Encyclopedia. New York: Fuel Publishing. 4. Beeman, W (1993) ‘The Anthropology of Theater and Spectacle’, Annual Review of Anthropology 22, 369-393. 5. Bernard, R. (2006) Research Methods in Anthropology. Oxford: AltaMira Press. 6. Butler, J. (1990) Gender Trouble: Feminism and the Subversion of Identity. New York: Routledge. 7. Cummins, W. (2003) ‘Orientalism’s corporeal dimensions’ Journal of Colonialism and Colonial History 4(2). 8. Douglas, M. (1966) Purity and Danger: An Analysis of Concepts of Pollution and Taboo. New York: Routledge. 9. Fenske, M. (2007) Tattoos in American Visual Culture. New York: Palgrave Macmillan. 10. Geertz, C. (1973) The Interpretation of Cultures. New York: Basic Books. 11. Gell, A. (1993) Wrapping in Images: Tattooing in Polynesia. Oxford: Clarendon. 12. Hanneman, R. & Riddle, M. (2005). Introduction to Social Network Methods. Riverside: University of California. 15. Leach, E. (1954) Political Systems of Highland Burma. Boston: Beacon Press. 16. Levi-Strauss, C. (1963) Structural Anthropology. New York: Basic Books. 17. Mead, M. (1928) Coming of Age in Samoa. New York: Morrow. 18. Mendoza-Denton, N. (1996) ‘Muy Macha: Gender and Ideology in Gang-Girls’ Discourse About Makeup’, Ethnos 61, 47-63. 20. Olguin, B. (1997) “Tattoos, Abjection, and the Political Unconscious: Towards a Semiotics of the Pinto Visual Vernacular”, Cultural Critique 37, 159-213. 21. Peace, W. (2000) ‘Essence, Identity, Signature: Tattoos and Cultural Property’, Social Semiotics 10(3), 331-346. 22. Phelan, M. & Hunt, S. (1998) ‘Prison Gang Members’ Tattoos as Identity Work: The Visual Communication of Moral Careers’, Symbolic Interaction 21(3), 277-298. 23. Reid, N. (2008) ‘Cluster Regions: A Social Network Perspective’, Economic Development Quarterly 22(4), 345-352. 24. Scheper-Hughes, N. (2002) Commodifying Bodies. Thousand Oaks: Sage Publishing. 25. Schildkrout, E. (2004)	‘Inscribing the Body’, Annual Review of Anthropology 33, 319-344. 26. Trunev, S. I. (2010) ‘Male Corporeality: Signs of Courage or a Statement of Excess?’, Anthropology & Archaeology of Euroasia 49(1), 21-30. 27. Turner, Victor (1990) ‘Are There Universals of Performance in Myth, Ritual, and Drama?’ in Schechner, R. & Appel, W. (eds.) By Means of Performance, 8-18. Cambridge: Cambridge University Press. 28. Unknown Author (N.D.) “Northern Arizona University Men’s Basketball Statistics” Northern Arizona University Athletics website. Retrieved at: http://www.nauathletics.com/sports/mbkb/2012-13/teams/northernariz. 29. Unknown Author (2014) “Owners” HoopsHype website. Retrieved at: http://hoopshype.com/owners.htm. 30. U.S. Department of Commerce. Bureau of the Census. (2010) “Ethnic Demographics by State”. Prepared by the Geography Division in cooperation with the Housing Division, Bureau of the Census. Washington, DC: United States Government. 32. Wacquant, L. (1995) ‘Pugs at Work: Bodily Capital and Bodily Labor Among Professional Boxers’, Body & Society 1(1), 65-93. 33. Wohlrap, S., Fink, B., Kappeler, P., & Brewer, G. (2009) ‘Perceptions of human body modification’, Personality and Individual Differences 46, 202-206. 34. Yuan, H. (2007) ‘Nonverbal Communication and Its Translation’, Canadian Social Science 3(4), 77–80.